March Gwent T1 Parents Group Meeting | Life, Sport and Diabetes - An everyday look at my life with type 1 diabetes. The diabetes community in South Wales is very fortunate to have a number of great support groups available. The aim of the groups is to create a network of support to help manage the psychological side of the condition. 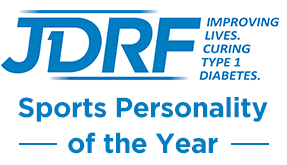 Recently I was asked by Vicki, the leader of the Gwent T1 parents group to come and have a chat to the parents who attend, about how I've managed doing high level sport whilst living with type 1. So tonight I went along to what was a truly inspirational evening. There was a great turn out for the meeting, that was held in Malpas community centre in Newport, with a mixture of parents and young people in attendance. It was lovely to meet some new faces and greet familiar ones. When the meeting started I gave a brief history of my sporting and diabetes background and then offered to answer questions from people. But what I really want to discuss in this blog is the incredible job that parents do, in turn supporting their children to live full lives with the condition. It's not that I was unaware of what a great job parents do, my own Mum was my supporting and driving force to getting to grips with my type 1. But the thing is this, I was diagnosed with diabetes at the age of 13. And whilst it was a very difficult time I was still a teenager, so I was able to understand what was going on, I was able to take control of my injections and blood glucose checks. I was able to tell my Mum or my hospital team that something wasn't right. Which is why I was so especially inspired by the parents of young children with diabetes that I met. Children are being diagnosed earlier than ever now, compared to when I was diagnosed when diagnosis in childhood was quite uncommon. But imagine being diagnosed before you can walk or talk. It means not being able to recognise blood glucose level changes, when you're learning what foods you like, that sugary snacks have to become part of your food routine to help manage levels. So I can't begin to imagine how frightening it must be, to be a parent and your child not being able to tell you how they feel or what their levels are doing. And this is the reality for children and parents who manage the condition together daily. However, there are positives because many children are being put onto insulin pumps not long after diagnosis. Which could potentially include the use of CGM (continuous glucose monitoring) as part of their care package. Technology has the potential to make the lives of all those involved better, by communicating what's going on so that parents can respond to the demands of their child's diabetes without the need for painful finger pricks. Another positive is the existence of parent groups such as Gwent T1, in supporting each other to alleviate some of the fear of diabetes, and in turn supporting their loved ones to live with diabetes. I was incredibly inspired meeting the group and the community as a whole is very fortunate to have them.